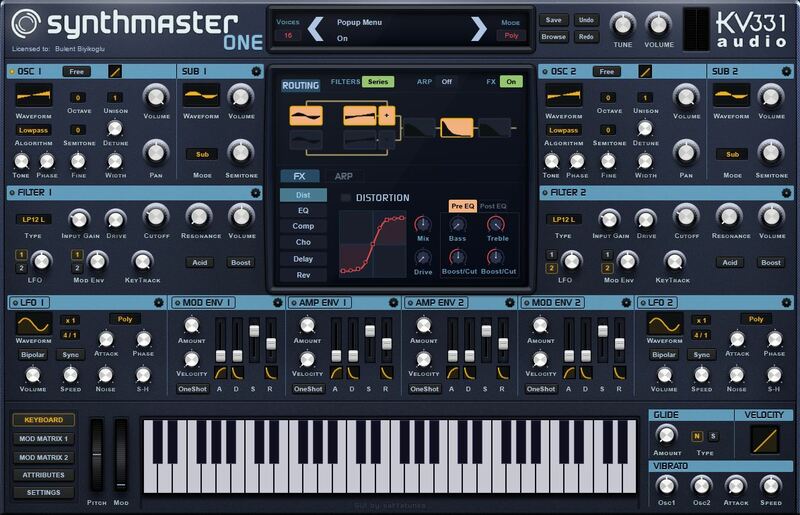 KV331 Audio has announced availability of SynthMaster One — an easy-to-use wavetable synthesizer with an intuitive workflow available in AudioUnits and VST formats for Mac OS X and Windows. 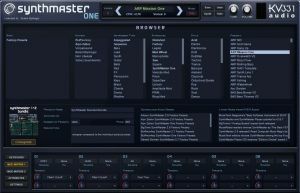 SynthMaster One shares the same sound engine as its big brother, SynthMaster, but boosts it with wavetable synthesis features. SynthMaster One's simple layout, rich wavetable content, and factory presets from a large team of sound designers — including Arksun, Bülent Biyikoglu, Gerçek Dorman, Ufuk Kevser, Rob Lee, Vorpal Sound, Xenos Soundworks, and Aiyn Zahev — makes designing distinctive sounds simple. In implementing true wavetable synthesis, SynthMaster One opens up new possibilities for sound design. Unlike SynthMaster, where only up to 16 waveforms can be sequenced to create a wavetable, SynthMaster One can read files that contain wavetables in them. 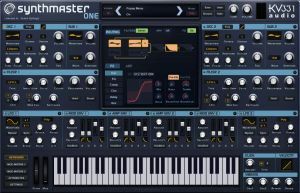 SynthMaster One comes complete with a rich wavetable library that can be extended by placing wavetables in its Waveforms folder. Furthermore, each of its two oscillators feature 17 different algorithms controlled by TONE and PHASE parameters to shape the oscillator wavetable. With its semi-modular architecture, there's so much more to the easy-to-use SynthMaster One than might first meet the eye, however. For each instance of SynthMaster One, there are two oscillators (OSC 1 and OSC 2) each with sub- oscillators (SUB 1 and SUB 2), two filters (FILTER 1 and FILTER 2), four ADSR envelopes (MOD ENV 1, AMP ENV 1, AMP ENV 2, and MOD ENV 2), two LFOs (LFO 1 and LFO 2), a powerful 16-step arpeggiator/sequencer (each step of which has its own Velocity, Note Number, Note Length, Slide, and Hold parameters, as well as classic and more complex modes), and also 11 different effect types — Distortion, LoFi, Ensemble, Phaser, 6 Band EQ, Compressor, Vocoder, Delay, Chorus, Tremolo, and Reverb — that can be inserted into six different slots. SynthMaster One's oscillators have stereo outputs and are capable of up to 16 UNISON voices. By using the VOICES, VOICES MIX, DETUNE CURVE, DETUNE SPREAD, PAN SPREAD, TONE SPREAD, PHASE SPREAD, and WAVE INDEX SPREAD parameters, each oscillator can generate a rich 'supersaw' sound. Still deeper, each sub-oscillator can be connected to its associated oscillator in five different modes, meaning users can choose to use them as regular sub-oscillators or have them do complex modulations, such as ring modulation, amplitude modulation, phase modulation, or frequency modulation. The sub-oscillators can also synthesize different types of noise. SynthMaster One offers four different categories for each of its filters — namely, ladder, diode ladder, state variable, and bite, and all filter algorithms are created using zero-delay feedback filter technology. 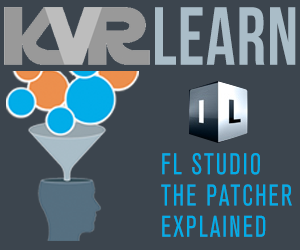 The filters can sound very warm, with advanced filter parameters like INPUT GAIN, DRIVE, and ACID. Aside from 12 preconfigured modulation matrix entries to make sound design even easier, new modulations can quickly be created by simply dragging a source or destination onto any knob on the user interface. Up to 24 modulation matrix entries can be created using 24 modulation sources and 234 destinations. SynthMaster One is available for purchase at KV331 Audio's web site for $79. For existing SynthMaster users, crossgrade is available for $29. The demo terminates after 20 minutes. Audio demos of SynthMaster One's factory presets are available on KV331 Audio's SoundCloud Channel. KV331 Audio has prepared a video series on SynthMaster One. The series is available on KV331 Audio's YouTube Channel. Great Synth!! I bought it and I Like so so much!! Hope KVR will do soon also an AXX Version.